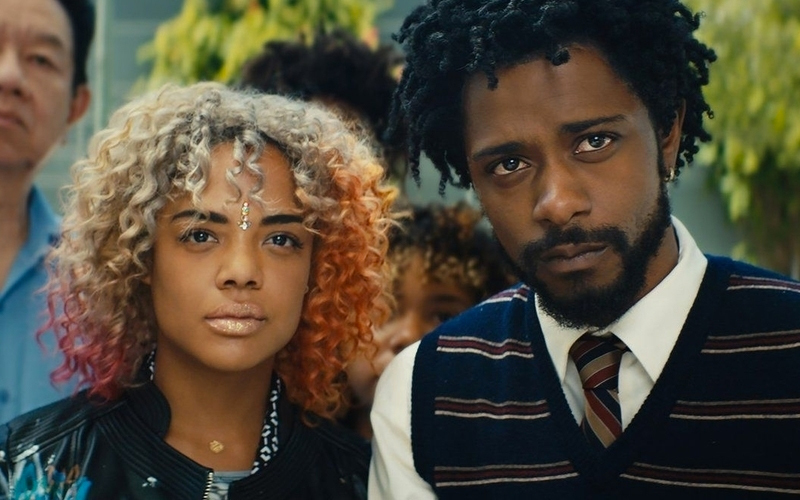 In an alternate present-day version of Oakland, black telemarketer Cassius Green (Lakeith Stanfield) discovers a magical key to professional success, which propels him into a macabre universe of "powercalling" that leads to material glory. But the upswing in Cassius' career raises serious red flags with his girlfriend Detroit (Tessa Thompson), a performance artists and minimum-wage striver who's secretly part of a Banksy-style activist collective. As his friends and co-workers organize in protest of corporate oppression, Cassius falls under the spell of his company's cocaine-snorting CEO Steve Lift (Armie Hammer), who offers him a salary beyond his wildest dreams.